The LCM, K2 area, Key Researchers Assoc.-Prof. Dr. Hubert Gattringer und Priv.-Doz. 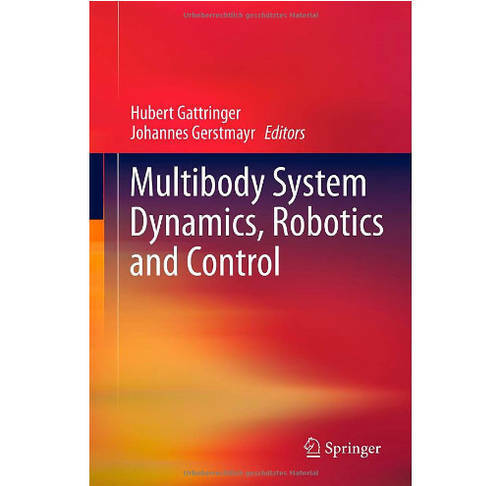 Dr. Johannes Gerstmayr recently published the book “Multibody System Dynamics, Robotics and Control”, which aims to serve as a state of the art collection of papers in the field of multibody system dynamics and robotics. In the field of multibody dynamics, very detailed models are usually developed for the purpose of dynamical simulation, while simpler models with real-time capability are needed in robotics. The collection of 19 edited articles of international experts of a workshop held in Linz, September 2011, shall close the gap between robotics and multibody system dynamics. H. Gattringer and J. Gerstmayr (eds. ): Multibody System Dynamics, Robotics and Control, Springer, Wien, 2012. This work has been [partially] supported by the Linz Center of Mechatronics (LCM) in the framework of the Austrian COMET-K2 programme.